Columbus Day is observed to every second Monday of October. It used to be celebrated every October 12, but has since 1971 been changed. Columbus Day is a holiday that’s observed in the United States. It’s meant to commemorate the time when Christopher Columbus landed in the Americas way back in 1492. The holiday was actually being celebrated in various other cities and states, albeit unofficially, for as early as the 18th century. It only became an official federal holiday back in 1937. Most people who celebrate this holiday see it as a way to not only remember all the achievements of Christopher Columbus but to celebrate the Italian-American heritage as well. Others, however, disagree because off the many controversies that surrounded Christopher Columbus. As such, they had consistently proposed changes to this holiday as early as the 1970s. Christopher Columbus was an Italian explorer who began his journeys back in 1492. He was headed to Asia with the blessing of King Ferdinand and Queen Isabella. His plan to was to take a sea route towards China, India, and Asia’s most coveted spice islands. Unfortunately, he ended up in the Bahamas, inadvertently becoming the first European to set foot in the Americas ever since Viking colonies were established along Newfoundland and Greenland back in the 10th century. Many people know Christopher Columbus as the guy who proved that the Earth was round. The truth, however, is that many Europeans during those times already understood the idea. What they were not aware of, however, was the existence of the Pacific Ocean. This created the notion that the only thing that got in the way of Europe and the East Indies was the Atlantic. Later on, Columbus saw Cuba and assumed that it was mainland China. After that, he came across Hispaniola, which he assumed was Japan. With the help of 39 men, he was able to establish the first colony of Spain in the Americas there. He then returned to Spain sometime in 1493, carrying with him gold, spices, and some captives. Columbus then went to doing some more exploring before he passed away in 1506. Before his death, however, Columbus realized that he hadn’t reached Asia at all. Instead, he ended up stumbling across a continent that Europeans already know of. The first ever Columbus Day was back in 1792, when the New York Columbian Order, also known as Tammany Hall, hosted an event to remember the 300th anniversary of Christopher Columbus’ landing. Many Italian and Catholic communities from all parts of the country also took pride in Columbus’ place of birth and religion, which led to the creation of various annual religious ceremonies in his honor. 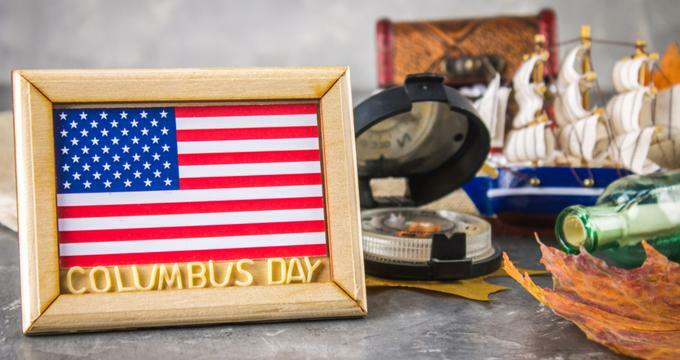 Sometime in 1892, a proclamation was issued by President Benjamin Harrison where he encouraged Americans to observe the 400th anniversary of Columbus’ landing through all kinds of patriotic activities. In 1937, another proclamation was issued by President Franklin D. Roosevelt, declaring Columbus Day as a national holiday, which was all thanks to the lobbying of the influential Catholic group, the Knights of Columbus. As early as the 19th Century, however, controversies regarding Christopher Columbus and Columbus Day were already afoot. These were sparked by anti-immigrant groups in the US who rejected the commemoration because of how it’s connected with the Catholic faith. In the past few decades, Native Americans as well as other groups have actively opposed the observance of the holiday, stating that this was a commemoration of the colonization of the Americas which was the start of the transatlantic slave trade. Columbus’ landing was also associated with millions of deaths due to murder and sickness. The early Europeans, in the process of settling, brought with them all manner of infectious diseases such as influenza and smallpox which wiped out entire indigenous peoples. The wars between the settlers and the natives had resulted in countless lives being lost as well. Even Christopher Columbus himself was criticized by many. For instance, it was said that when he went to the Bahamas, he and his crew took many of the natives and enslaved them. It was also said that he imposed inhumane forms of punishment, such as acts of torture, when he was the governor of Hispaniola. It so happens that many Latin American societies celebrate Dia de la Raza or “Day of the Race”, which is a day of celebrating Hispanic culture and its diverse roots. Back in 2002, they had renamed this holiday into Dìa de la Resistencia Indìgena or “Day of Indigenous Resistance” in order to commemorate the plight of the Native Americans throughout history. States like Hawaii, Alaska, South Dakota, and Oregon as well as cities like Los Angeles, Phoenix, and Denver have formally substituted Columbus Day with Indigenous Peoples Day. Today, many parts of the United States continue to celebrate Columbus Day. But today, people observe the holiday to honor the Italian-American heritage. During this season, the locals host parades that are filled with colorful costumes, music, and tons of Italian food. Many traditional dance events and activities are also held not only to honor the indigenous people but to allow tourists to learn more about the culture of the Native Americans. Of course, the Catholic faith aspect of the holiday is still there, such that some churches hold special masses on this day. Wherever you’re going, make sure you catch the parades and festivities on Columbus Day. There will be lots of people, good food, and lively music - an experience like no other for locals and tourists alike.